Lachung is the most picturesque place in Sikkim because of its snowcapped mountain peaks, waterfalls, pine forests, hot springs and orchards. Lachung literally means “small pass”. It is a small mountain village, sprawled across Lachung river, that divides the village in two part. Very close to the Tibetan border, it lies in the northeastern Indian state of Sikkim. If you are planning to visit Yumthang valley, then a halt at Lachung is a must and is perfect. Numerous hotels in the area, cancels out the problem of accommodation. Though it is one of the remotest destinations in India but it offers stunning Himalayan beauty. 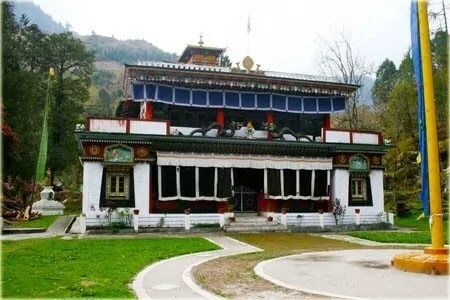 Lachung Gompa: An ancient monastery built in year 1880. Handicraft center: Offers handmade rugs and blankets. 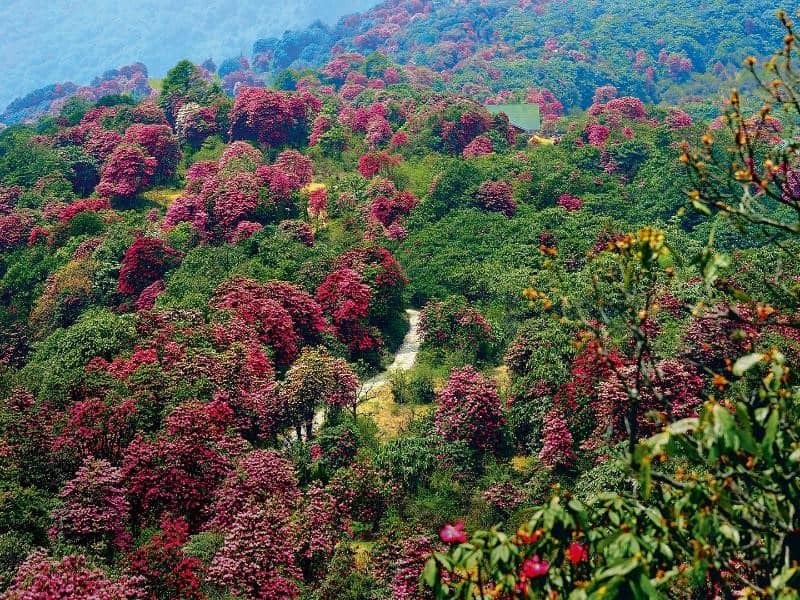 Shingba Rhododendron sanctuary: Popular for abundance of Rhododendron trees and shrubs. 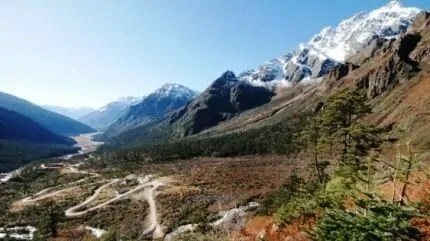 Yumthang valley: Mostly tourists stay here as a halt to visit Yumthang valley, but do not miss the opportunity to explore the beauty of place itself. Best time to visit: Snow can be seen till March/April while May is suitable for seeing flowers/Rhododendrons. Preferred duration of stay: 1 to 2 nights.